Your "daily calorie needs" are the amount of calories you need to shed pounds without feeling overly hungry all the time. Each person's body is different so this will vary from person to person. 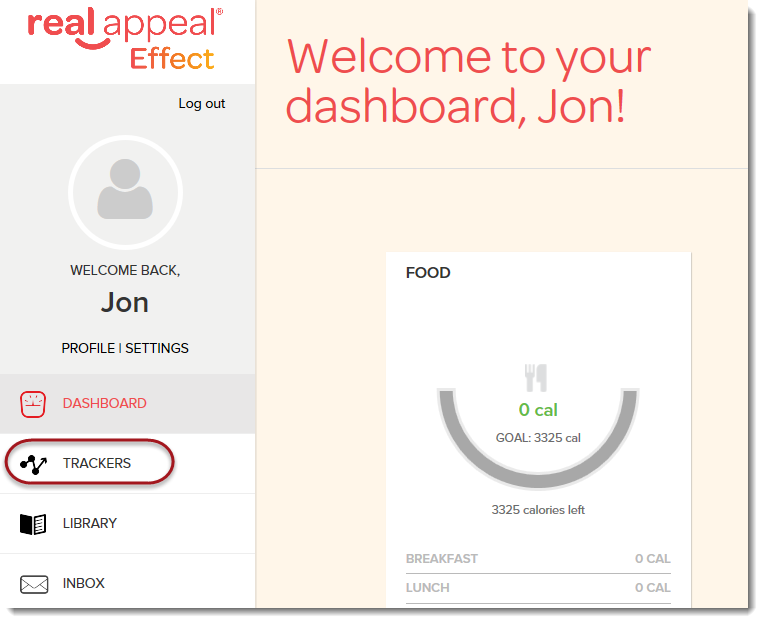 A good place to start is to set your Custom Calorie goal to be equal to what is set as the Recommended Calorie Intake in your My Plan tab in the Tracker. Try that for a week or two, and if you aren’t seeing the weight loss you would like, then try reducing your Custom Calorie goal by 100 calories. 1. From your Dashboard (either online or through the mobile app), click Trackers. 2. Click the My Plan tab. 1. Click the arrow to edit. 2. 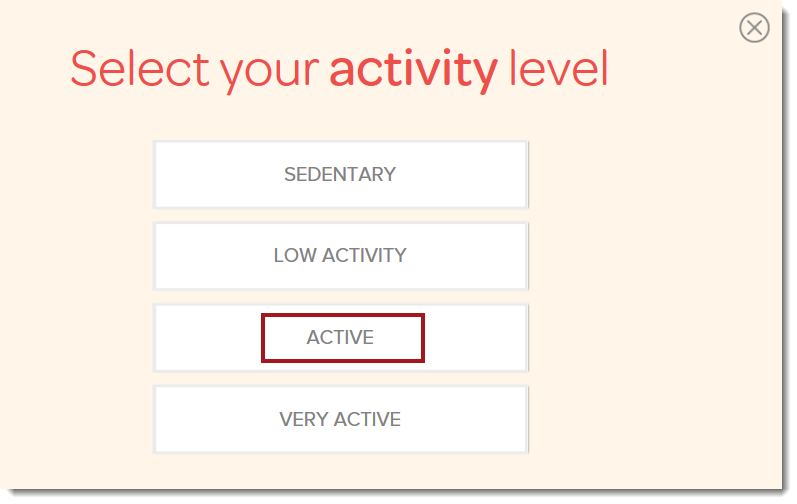 Select your current Activity Level. 1. Click on the arrow next to the target you would like to edit. 2. Update the required fields then click Save. 2. Update the required fields then click Done. 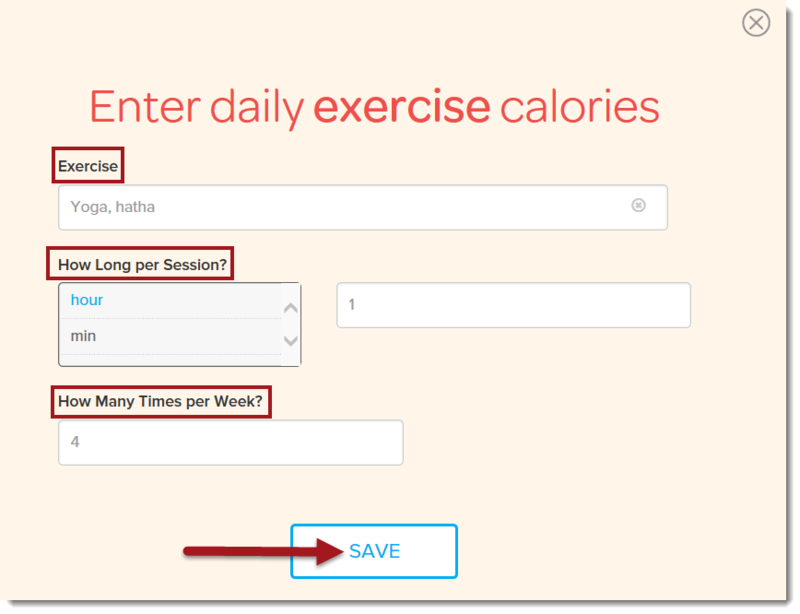 Note: If you ever want to go back to the calorie level calculated by the system, click the "Reset calories" button on the same page. 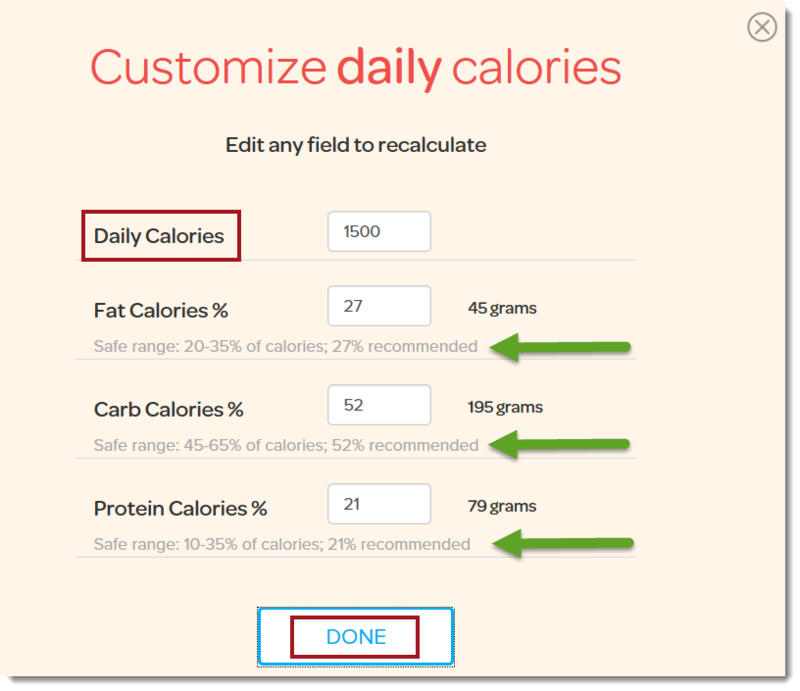 If you change your Target Date, your daily calories will be directly impacted. For example, you will be able to eat more if you’re planning to take longer to lose the pounds. If you change your Weekly Rate and your Target Date the daily calories you can eat each day will be affected. For example, you may have to lose fewer pounds per week. If you change your daily calories to a higher number, it will take you longer to lose weight and affect the amount of weight you will lose each week. 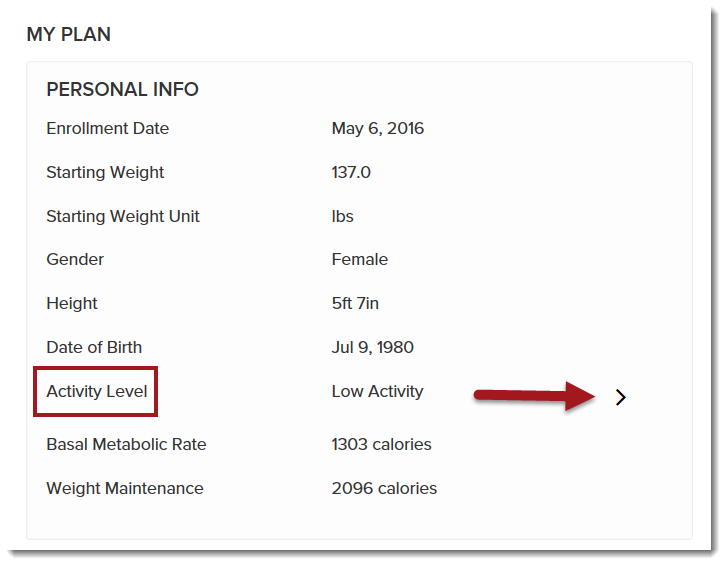 Other parameters you can change include your Activity Level and your Target Weight. If you change your Activity Level--say, to a more active level--you will be able to consume more calories, and this will affect your amount of weekly weight loss. For more information on meal plan options, daily calories and finding your "daily calorie needs," check out the Real Foods Nutrition Guide. Your Basal Metabolic Rate (BMR) is the minimum number of calories your body needs to keep you alive for basic activities like breathing, digesting food, and keeping your body at a steady temperature. Our system calculates your individual BMR based on your weight, height, and age. This number is different for everyone and can change over time. Basically, the bigger we are, the more calories we burn and the more calories we need. As we lose weight, our BMR will decrease. Another piece of information you might find interesting is, the more muscle we have, the higher our BMR, and the more calories we burn. It's a great reason to add resistance or strength training to your routine!